Dr. Tyrun Ray has devoted his life to enhancing smile aesthetics and function for his patients through the art and science of orthodontics. Dr. Ray earned his Doctorate of Dental Surgery at the Ohio State University, where he also completed three additional years of specialty training to obtain his orthodontic certificate and Master of Science. Prior to his dental and orthodontic training, Dr. Ray earned a Bachelor of Science in zoology from Weber State University. 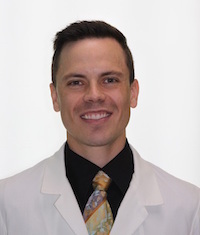 Dr. Ray has conducted research on several topics, including the clinical use of temporary anchorage devices (TADs) in orthodontic treatment, and the use of Cone Beam Computed Tomography (CBCT) in assessing bone mineral density. Over the past three years, he has taught Invisalign® and basic orthodontic courses to dental students. He is a member of and involved with the American Association of Orthodontists and the American Dental Association, and he is a board-qualified orthodontist. Dr. Ray enjoys being active outdoors and exploring cities of the world, and he loves to support the theater and arts of all kinds.